The dress was perfect! It looks just like the advertisement and I give it five stars! I've received my dress today. Its lovely n thanks a lot. The dress fits perfectly and the quality is very high. I recomend this web to everyone. 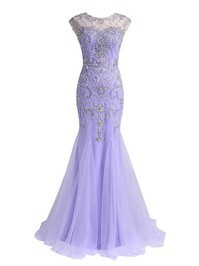 Im very picky and to say I looove the dress then it must be good. It is a beautiful dress and I am more than satisfied with it. I'm really grateful for such a beautiful dress Thanks a lot. I had accidently put my address in wrong and emailed Uk.millybridals and they emailed me back within 24 hours and everything was taken care of! My dress arrived on time and I just wanted to say thank you. I was really worried having not seen the dress, but I shouldn't have been - you all did a great job. Thank you so much for helping me get the dress I loved at a price I could afford!